Why choose a .com extension? The .com extension is one of the most recognized domains in the world; nothing screams professionalism and reliability quite like a .com top-level domain (TLD). Position yourself for success with a cheap URL and enjoy the advantages of having a .com website – the ideal solution for those looking to penetrate the international market. Due to the credibility of the .com domain extension, it has fast become the global online standard – this is why every Fortune 500 company, and the world's fastest-growing companies, have a .com domain. The .com domain is often used to engage with a global audience, especially when it comes to online shops; the reliable and trustworthy nature of the domain extension goes a long way when it comes to entering your credit card details for online purchases. Position your company for success with a domain name from 1&1 IONOS. Memorable: A catchy TLD is of the utmost importance for an established business. With a .com website, you can rest assured that it will stay at the tip of everybody's tongue. Credibility: Although .com domain endings are relatively cheap URLs, they are one of the most well respected TLDs in the world and are highly coveted. 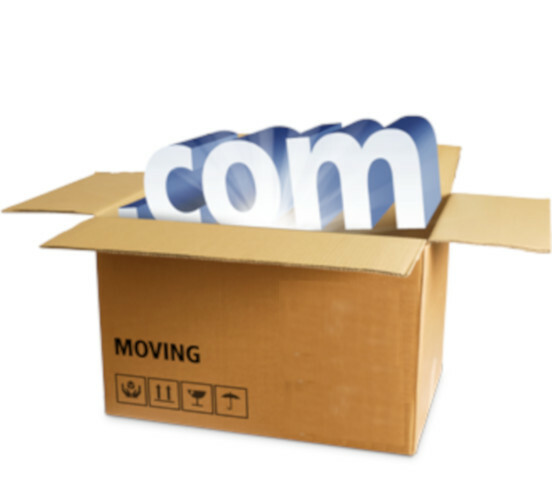 Value: As .com domain availability is decreasing, the domain's value is going up, and many are now resistant to give up their domain or to seek domain alternatives. Default: Without even thinking, most people automatically type in the .com extension as the default extension, which can lead to increased traffic to your site. When the Domain Name System was implemented, .com was one of the first generic top level domains (gTLDs) created, and has since become the most popular. The .com domain meaning is simple: originally the .com suffix stood for "commercial", and was used by and to identify businesses online. The idea behind this was that TLDs would be used to categorize websites for users; this can also be seen in other purpose-designed TLDs such as .gov (government) .edu (education) and .org (organization), all of which are still in use today. However, as the internet became a global phenomenon, the .com domain meaning gradually lost its commercial significance and became the standard domain used by individuals and organizations everywhere—including many government departments and educational facilities. As a result, it has gained a reputation as one of the most respectable and trustworthy TLDs available. So, while the .com domain definition may no longer imply a commercial entity, it does significantly enhance the profile of a website. If I already have a domain from a different provider, can I move it to 1&1 IONOS? Yes. There are is a standard process for your domain name transfer. You can check out the the whole process in our help center. For any additional questions about your .com domain transfer (such as: how to transfer an expired domain, or how the waiting period between domain transfers works), you can find more information at the Help Center. Why register your domain with 1&1 IONOS? How much does a .com domain cost? With each 1&1 IONOS .com domain, the cost per year includes a whole host of features, allowing you to benefit from being registered with the most recognized and trusted top level domain worldwide. The exact cost per year of the .com extension depends on the length of registration time, with multiple year registration being a popular choice. Additionally, the cost for existing 1&1 IONOS customers can often include special offers which may further decrease your expenditure. When buying a cheap URL with 1&1 IONOS, you benefit from the unbeatable prices, the dedicated 24/7 service, the secure domain lock, as well as a quick and easy set-up process. With the .com extension being the most popular top level domain worldwide, it's no wonder that .com domain availability is becoming more and more limited. Representing credibility, professionalism, and a global scope, an increasing amount of people are turning to .com for all things professional and personal. Once you've thought of the perfect top level domain for you or your business, one that is guaranteed to give off a good first impression, the next step is to ensure that it's not already taken. Checking for .com domain availability is an easy process with 1&1 IONOS. Simply check your .com domain availability with our free and easy tool. All you need to do is type in your desired domain name, and the domain checker will identify whether or not it's available. If your desired domain name is already taken, you will be provided with a range of viable alternatives. What are the .com domain alternatives? Why should I register one or more domain(s)? More than 100 million registrations worldwide speak for themselves – clearly, the .com domain is the most commonly used domain extension worldwide. In its early stages, .com was supposed to be used for commercial purposes, since it is an abbreviation for the word "commerce". Today, however, it is used for all purposes – personal, professional and commercial. One of the prime reasons for registering another .com domain is if you are expanding your business. If, for example, your company is already successful in the US, and you're looking to expand it to Mexico, you could register a second .com.mx domain to cater exclusively for the Mexican .com.mx market. Additionally, many domain traders and businesses extend their domain portfolio in order to protect their brand on the internet. They then turn not only to the classic domain endings like .com, .org, .net or .info, but they also use new domain extensions like .online, .shop or .tech.